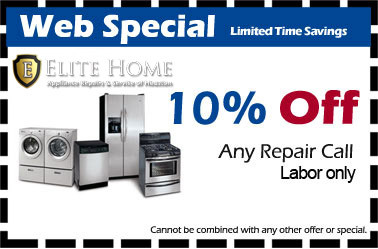 Are you looking for a Premium Appliance Repair Service specialized, in high-end home Appliances? 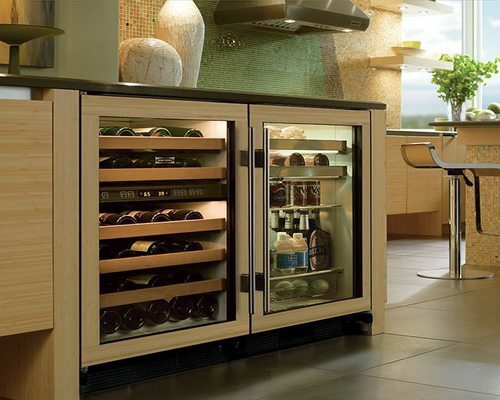 With over 15 years we have been successfully Installing, Servicing, and fixing, Refrigerators, Freezers, Wine Coolers. 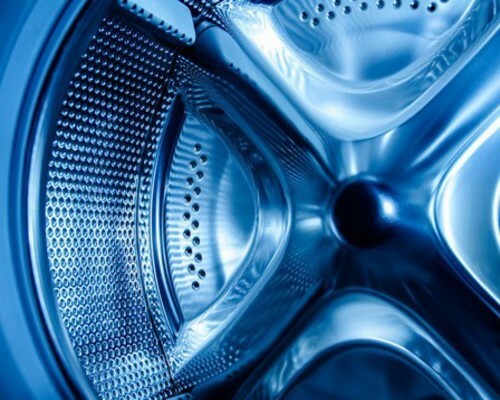 Moreover Ice Machines, Washers and, Dryers. 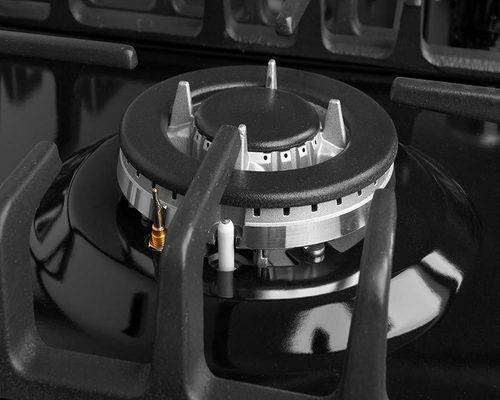 Also servicing, Stoves, Ovens, Microwaves, Dishwashers, Ranges, Cooktops. 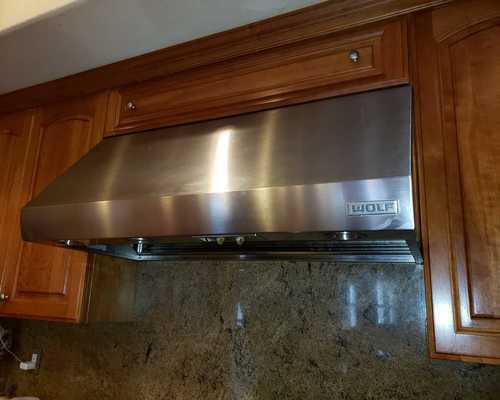 Additionally, an expert technical team to fix Garbage Disposals and, Range Hoods. It' important to mention that we fix all makes and brands. 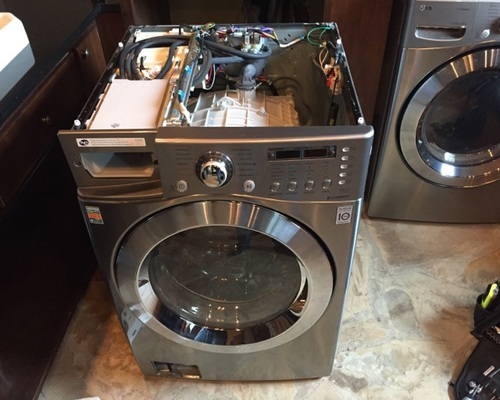 Appliance Repair Service in Spring Texas is an Authorized Repairs Service Partner for SEARS, SAMSUNG, AMERICAN HOME SHIELD, AND FIDELITY NATIONAL HOME WARRANTIES. 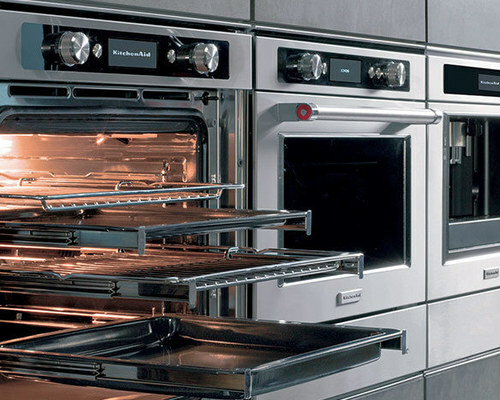 Sub-Zero, Viking, Wolf, Thermador, Dacor, Asko, Fisher Paykel, Miele, and Bosch. 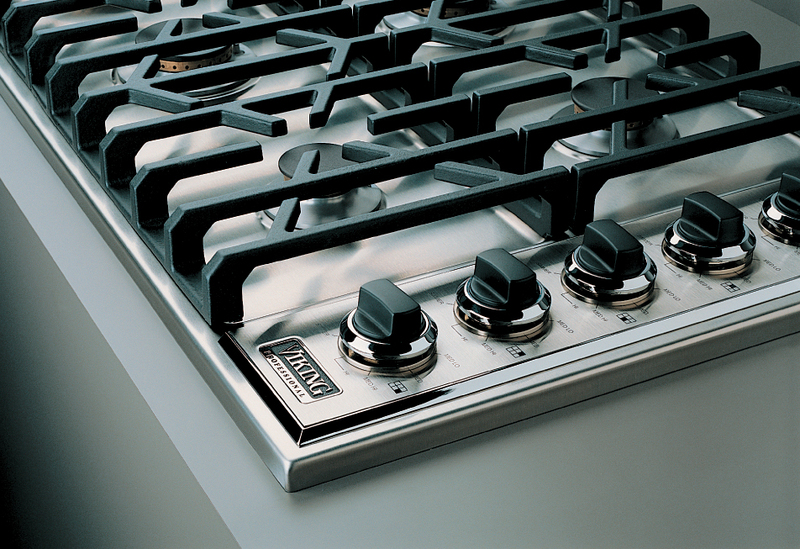 Also, Samsung, LG, GE, GE Monogram, GE Profile, Kitchenaid, Frigidaire, and Avanti. 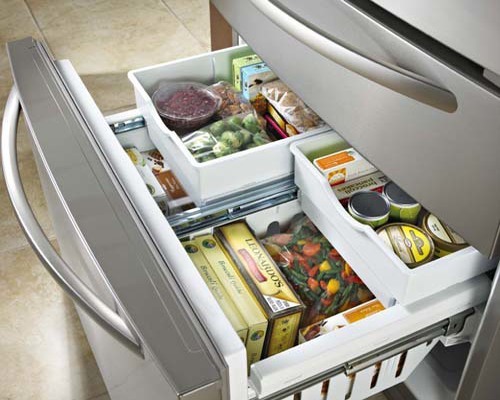 Moreover, Whirlpool, Kenmore, Electrolux, Maytag, Amana, Hotpoint, Admiral, and Jenn-air. 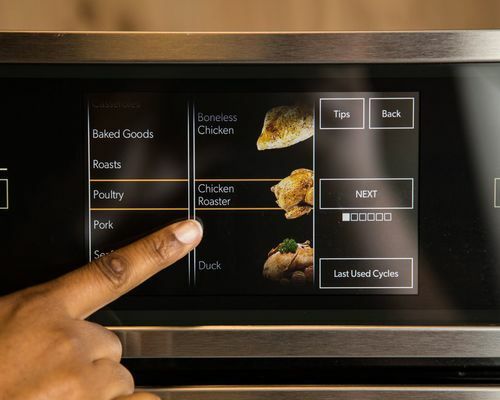 Also, Magic Chef, Speed Queen, Tappan, Roper, Westinghouse, and Amana. 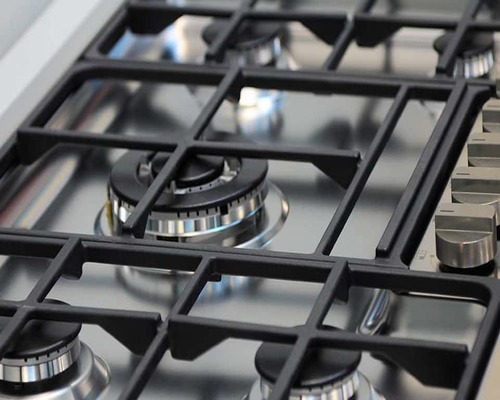 What Makes us a Different Brand of Appliance Repair Service? 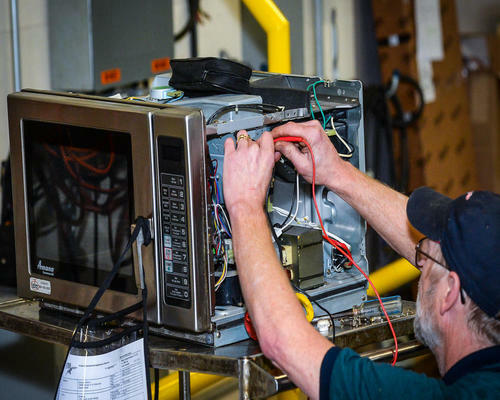 Above all, our goal is to provide you with the best service possible while offering the least price to fix your appliance. In most cases, your machine set the same day. 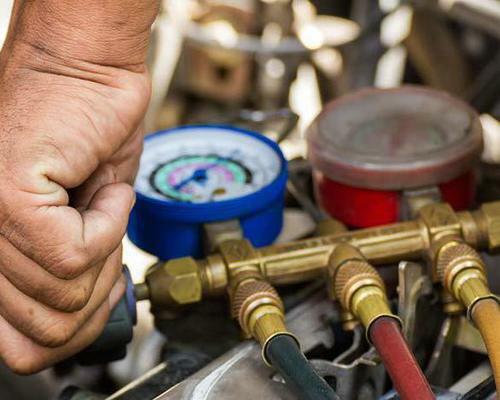 Our Technicians stock the most significant parts in their trucks. As a rule, we charge $65.00 to come, Diagnose and troubleshoot your appliance. Incidentally, this fee, waived when we repair. In short, you only pay for parts and labor. A detailed estimate outlining all the parts and Labor handed before we start to the service. 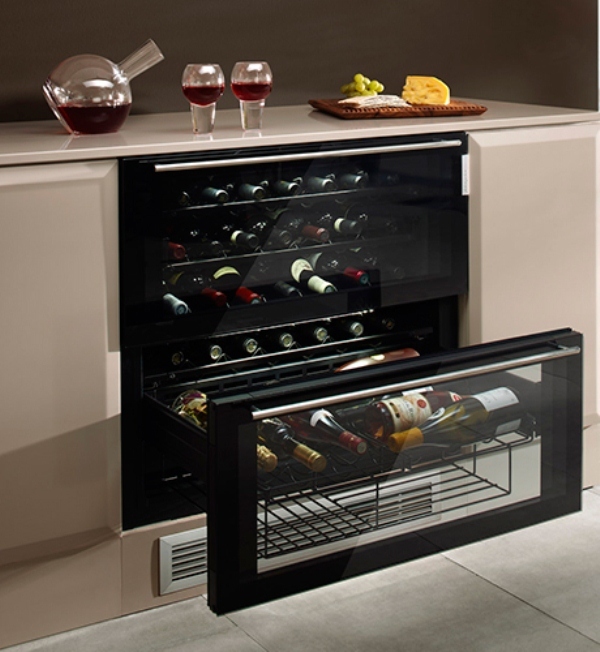 Aside from our exceptional service, we offer the same warranty provided by the parts manufacturer — also, a 90 Day warranty on labor. By the way, you can call our office at any time, will be glad to hear your Appliance problem. Furthermore, we'll give you an approximate free estimate. For the most part, we don't want you to hand wash your dishes or cloth because your machine is broke. 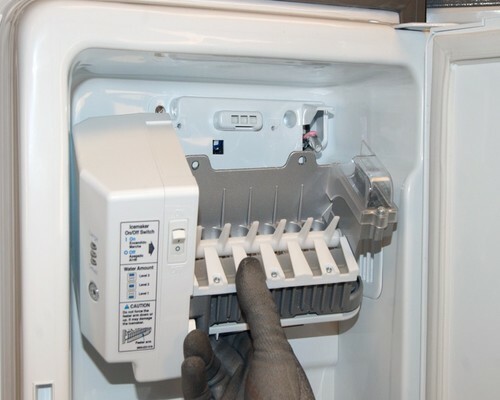 Moreover, throughout the years we have experienced every scenario that might cause your Appliance to stop. 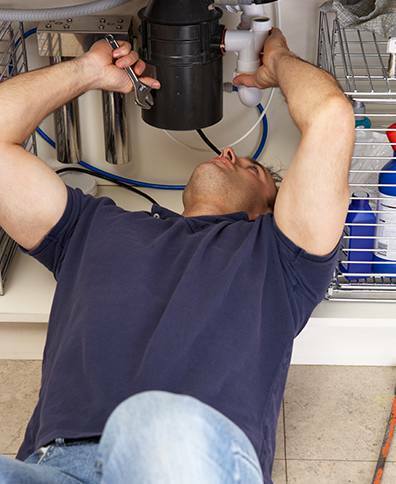 Also, our Technicians are factory trained, licensed, and insured to give you a piece of mind. Likewise, our back office is as good as our Techs. 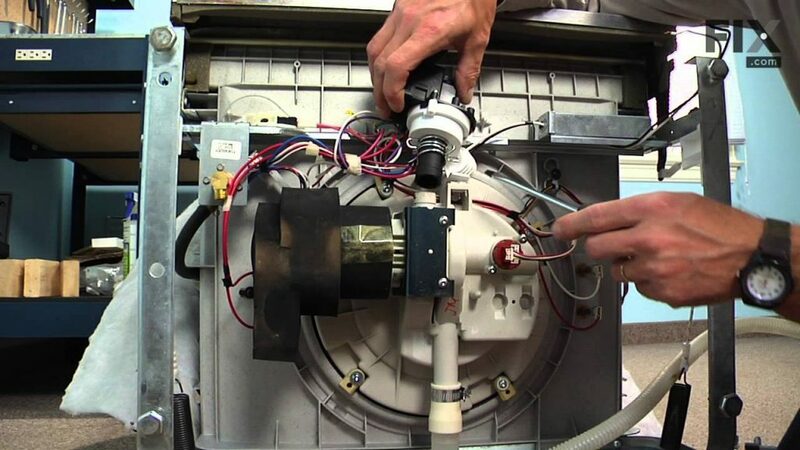 They are professionals that will do their very best to accommodate all your Appliance repair needs. So, rest assured that you will be getting a quality, and premium Repair services you deserve, also, in a prompt manner. 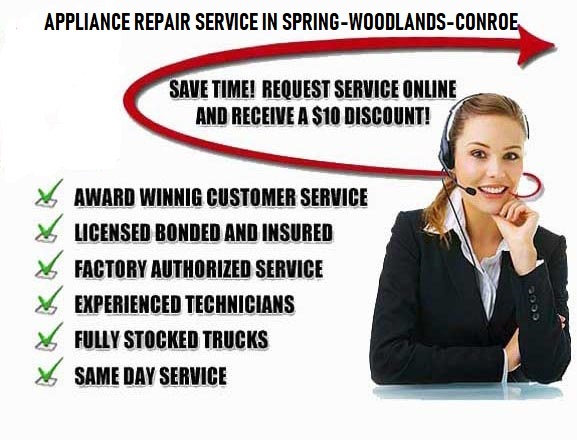 Finally; take the right step and call Appliance Repair Service in Spring - The Woodlands - Conroe. Our Operators and Dispatchers are ready to make your call now. 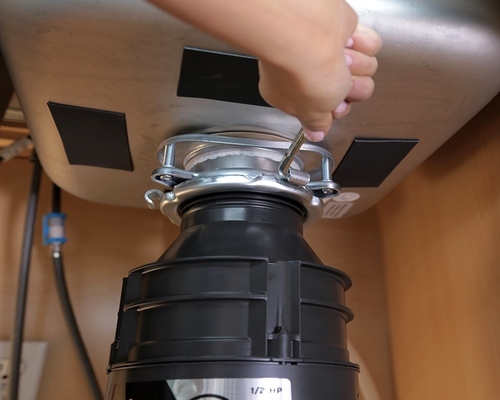 Let our expert techs fix your Fridge, Icemaker, Washer, Dryer, Dishwasher, Range, Oven, Cook-top, Barbeque Gas Grill, Range Hood, and Garbage Disposal. 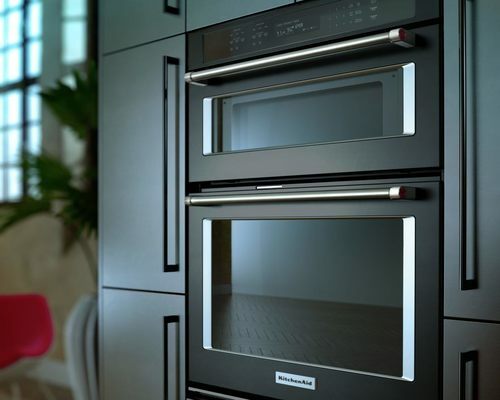 We are High-end Appliance Repair Specialists — for example, Subzero, Viking, Wolf, Thermador, Asko, GE Monogram, Bosch, DCS, and Fisher Paykel. 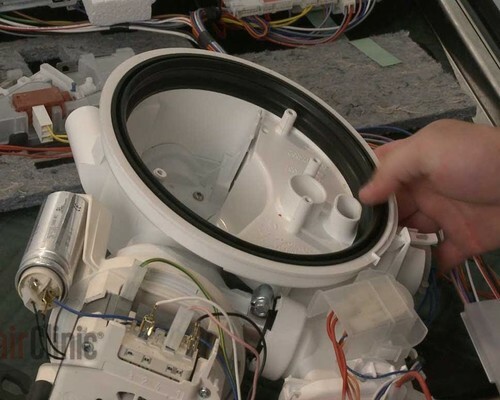 We also fix most major Brands & makes like; Kitchenaid, Jenn-Air, GE, LG-Samsung, Kenmore, Electrolux, Whirlpool, and Maytag. So give our experts a call and let them do the job right on their first visit.